The plight of the Irish in Australia begins during the mid 1780's when Ireland was part of the British Empire. The British cruelty toward the Irish was beyond comprehension. They were ridiculously persecuted for such petty crimes as stealing vegetables or a coat. The real criminals, such as murderers, and the poor pilferers were treated with the same harsh punishment. This is not to say that the outlaws didn't deserve to be sentenced harshly but it was unfair to the minor thieves and pickpockets. The British Empire had just lost one of its prized possessions, the thirteen colonies of North America. Although this was a huge economic loss for the Empire, they also lost another valuable asset. They lost their favorite place to get rid of convicted criminals by forced exile and they needed a new dumping ground. Australia became the place they chose as the new destination for their felons. This was a 15,000 mile trip by boat to the southwest shore of New South Wales. Beginning in 1787, and for about 100 years, 160,000 convicts were transported to Australia; around 30,000 were Irishmen and 9,000 Irishwomen. Today, 33 to 40 percent of Australians claim to have Irish roots, which is one of the highest percentages anywhere. It is more than double the percentage of Americans who claim Irish ancestry. 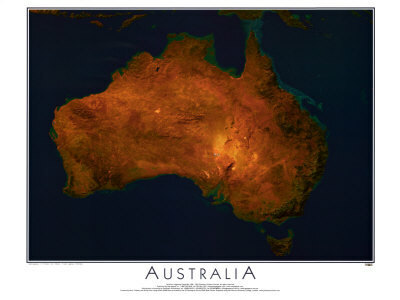 Australia began its colonial life as a prison with the endless walls of the Pacific Ocean. Even though some of the prisoners were British, most of them were Irish. Australia was thousands of miles from the world they knew, and half a world away. Nothing even remotely resembled the landscape of Ireland. 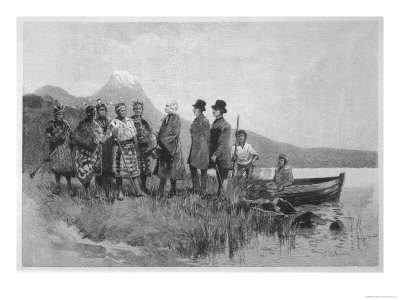 One of the penal colonies was on an island off the southeast coast known as Van Dieman's Land. The lesser criminals were sentenced to 7 to 10 years of "transportation to Van Dieman's Land". Van Dieman was a Dutchman who had organized the first exploration of the area in the 1640's. Contrary to legend, not all the Irish arrived there on convict ships; many arrived as voluntary immigrants as well. The first convict ship arrived in Australia in September of 1791. While more Irish arrived throughout the decade, the next twenty years was the beginning of a large increase, as the survivors of the 1798 Rising began to disembark. The most famous were United Irish rebels, Joseph Holt and Michael Dwyer. They were deemed as a special threat and were treated more harshly than ordinary criminals. The Reverend Samuel Marsden, head of the Anglican Church in New South Wales, called the United Irish rebels "the most wild, ignorant and savage race that were ever favored with the light of civilization." Due to the harsh treatment they received, a small group of the United Irishmen arose against the authorities on March 4, 1804, but it was quickly stopped. During the first half of the 19th century, the British continued to deport the Irish to Australia. Then in the late 1840's, along with a large wave of refugees of the Potato Famine, there were Irish revolutionaries from the Young Ireland Party arriving. These men were transported for their brief uprising in 1848 Ireland. John Mitchell, William Smith O'Brien, Thomas Francis Meagher, Terrence McManus and others were jailed. Of those four, only O'Brien served his sentence, while the other three escaped to the United States. Among the last felons to arrive were the Fenians. The most famous of those was John Boyle O'Reilly. He escaped by boat to America after only a year in Australia. He rose to prominence in Boston and helped to organize a daring sea rescue of six other Fenians still imprisoned in Australia. Even though, during the years that Irish convicts were exiled to Australia and in later years, many thousands of Irish were emigrating there voluntarily. Perhaps the most infamous Irishman ever to live in Australia was the outlaw Ned Kelly. The Australian born Kelly was accused of stealing stock from a wealthy land owner. 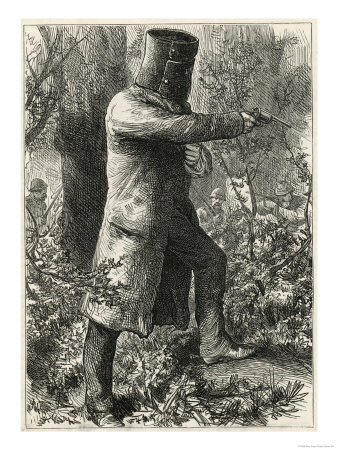 To many of the Irish in Australia, Ned Kelly's escapades were a continuation of the class struggle in Ireland. For others, it was just the story about an infamous thief. After many months on the lamb, Kelly and his gang were captured at Glenrowan. His gang was killed but he survived, due to his homemade suit of armor. He was condemned to death and was hung at the old Melbourne jail on November 11, 1880. The stigma of criminal ancestry may have been part of the reason for Irish Australians to down play their heritage, even though thousands of Irish had not come as criminals. Discrimination against Irish Catholics probably played a part, as well. In the 1950's, a Catholic archbishop threatened to remove Catholic money from some banks to force them to end hiring discrimination against Irish Catholics. In 1980, a public campaign was organized against the widespread telling of Irish jokes. Today, the Irish in Australia have begun to embrace their ethnic roots. One government official called Australia "the most Irish country outside of Ireland."